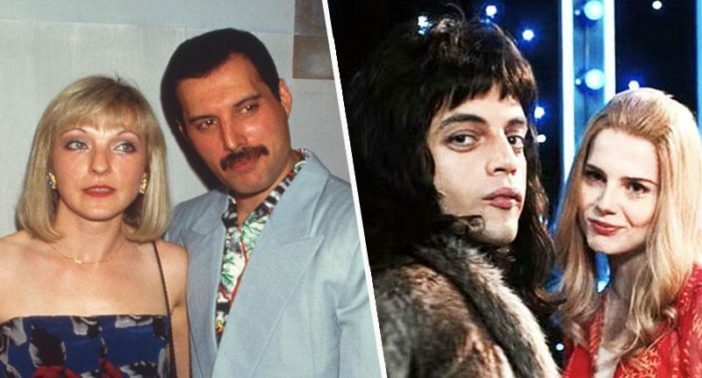 After Bohemian Rhapsody hit screens, Queen fans learned more about Freddie Mercury’s complicated relationship with his common-law wife, Mary Austin. Mary is known to be a private person, in contrast to the extroverted image of the most iconic of frontmen. However, with the publicity surrounding the popular biopic, Mary has once again found herself at the centre of public interest. The film has cleaned up well at the Golden Globe Awards, and has also proved to be a smash hit at the box office. Mary was portrayed by 24-year-old actor Lucy Boynton in the film, which depicted her close relationship with Mercury. Bohemian Rhapsody pulled in nearly £600m at the box office, with Mary receiving £40m in royalties, reports the Mirror. Mercury is said to have left Mary 50 per cent of his future earnings, which rose to 75 per cent following the death of his parents. Mary was also left Mercury’s 28-room, £20m mansion in West London, complete with his collection of art and opulent pieces of Louis XV furniture. Mary met Mercury in 1970, before he became a global superstar, when she was just 19-years-old. She’d been an art student at the time. All my lovers asked me why they couldn’t replace Mary, but it’s simply impossible. The only friend I’ve got is Mary, and I don’t want anybody else. To me, she was my common-law wife. To me, it was a marriage. We believe in each other. That’s enough for me. I couldn’t fall in love with a man the same way as I have with Mary. Mary, now 69-years-old, reportedly approved of the film but didn’t have any involvement with it.